Every Turning Point Volunteer must attend Orientation before their first day of service. 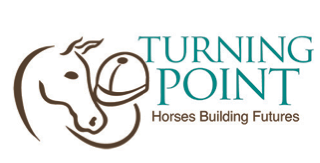 Taking the steps below will begin to prepare you to make a difference in a life through therapeutic horsemanship. Your instructor will give you on going instruction when you arrive at the barn but you still need to attend an Orientation training session. Orientation is scheduled before classes start each semester but there is also an Orientation the first Wednesday of each month from 6pm to 8:30pm. Read the Volunteer Manual including disability descriptions, and check out the duties for each role below. Report to Orientation with your completed volunteer forms. Celebrate being prepared to make a difference!